AMD has taken to Twitter, Facebook and YouTube to tease enthusiasts about an upcoming new major software driver release. 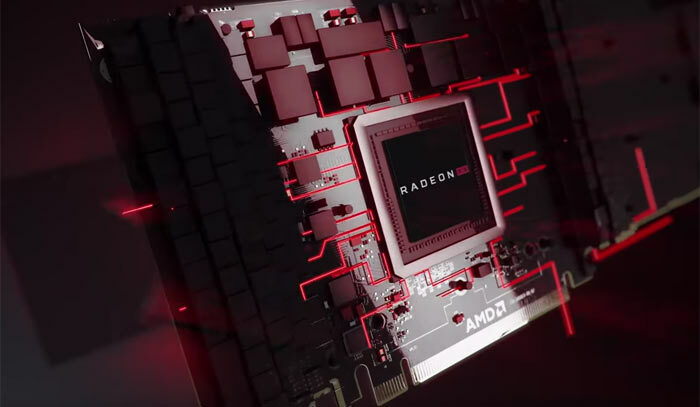 The next big step for Radeon driver software will be dubbed the Radeon Software Adrenalin Edition. AMD informs us that the first Adrenalin release will be ready later this month (December started today, check your advent calendar). You can see the video shared by AMD across the various social media platforms embedded directly above. Depending where AMD shared this video AMD's accompanying message was slightly different but equally unilluminating. On Twitter, for example, AMD wrote "From great to greatness, get ready for the arrival of Radeon Software Adrenalin Edition." On YouTube the text accompanying the video was as follows: "Radeon Software is where visible and invisible have been woven together to empower gamers and enrich the visual experience." Looking back at AMD's recent history we see that Catalyst became Crimson in 2015 and a year ago we witnessed the teasing of the Radeon Software Crimson ReLive Edition, before its arrival shortly after. If history repeats itself with regard to timings we could get to see a proper press release and a first software release for AMD's Radeon Software Adrenalin Edition before Friday is out. Unfortunately, USA time is 8 hours behind us so it might be Saturday UK time before any such unveiling and driver release occurs. In related news AMD recently released Radeon Software Crimson ReLive 17.11.4 with support for Doom VFR and Oculus Rift Dash Open Beta. cant wait , I hope they add enhanced vsync for the r9 fury . Have they found more AMD FineWine™? Or is it just marketing. Hope it's the former. I did hear from a Vanguard user (afaik) that the upgraded driver for Vega is coming in December. Hopefully it's this one.